The Michigan burn injury lawyers at our firm represent clients who have suffered serious burn injuries. Burn injuries are not only painful but can leave permanent physical and psychological scars. Many of these cases are Michigan wrongful death cases. Below you will find some of the most common types of burn injuries that result in lawsuits and high settlement amounts. 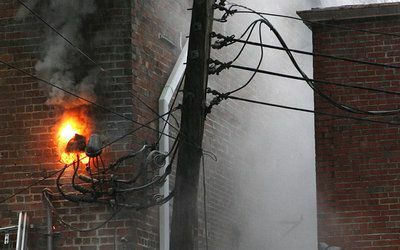 Electrical burn injuries result from exposure to high voltage electricity. The burn injuries are a result of electric current flowing through the body and causing a variety of wounds resulting in serious physical injuries and possible death. Thermal burn injuries occur when there is exposure to, or contact with steam, flames, flash, and hot surfaces or hot liquids with a temperature of at least 115 degrees. Automobile fires may be caused by gas explosions as well as contact with another object in a collision. Structure fires and burn injuries are often associated with residential or office building fires. When these events do occur it is not uncommon to find that heating and electrical equipment has malfunctioned and resulted in serious burn injuries or death to unsuspecting victims. Burn injuries are classified in three tiers: first degree, second degree, and third degree. First degree burns usually affect the outer layer of the skin. A first degree burn tends to be moist and red in color. A burn of this nature is generally resolved within one week. A second degree burn is one that penetrates the outer layer of skin and extends to the deeper layer know as the dermis. Pressure on a second degree burn tends to produce red blanches. The burn is moist and pinkish. A superficial second degree burn should heal spontaneously, often within two weeks. However, sometimes, a second degree burn can run deeper into the skin. A burn of this nature will be dry and whitish in color. It will not produce red blanches with the application of pressure. A burn of this nature can take three to four weeks on average to heal. There is a risk that a deep second degree burn could leave scars. The most severe burn is the third degree burn. This occurs when the burn has destroyed both the epidermal and dermal layers of skin and extends down into subcutaneous tissue. These burns are usually physically depressed, charred, and often are leathery in appearance. A third degree burn may not be as physically painful as the less severe categorizations, due to the amount of nerve endings that may have been destroyed. These burns are very serious in nature and often require skin grafting or other reconstructive procedures. Burn survivors may endure physical and emotional trauma, an injury that leaves one in pain, disfigurement, organ damage, body chemistry damage, and/or sensitivity to temperature change They also often incur significant medical expenses, rehabilitation expenses, and lost earnings. To learn more about the laws in Michigan personal injury accidents, you should request our free book, "The Ultimate Guide To Injury Cases in Michigan" which includes The "Biggest Mistakes That Can Ruin Your Injury Case." We will send it out immediately. The procedures for filing claims and lawsuits are different virtually everywhere and the time limitations for filing personal injury claims isn't always the same. Depending on what type of case it is, whether it is a slip and fall accident, lead poisoning, or birth injuries, for example, determines the statute of limitations for the case. If you miss a deadline, your claim will be lost forever. For these reasons, you should contact our Michigan personal injury lawyers immediately if you have been injured in an accident. We will represent you in your Michigan burn injury case under our No Fee Promise. This means that you will not be charged any legal fees whatsoever unless we obtain a settlement or recovery for you. You have absolutely no obligation for legal fees unless we win your case. If we do not obtain a settlement for you, you owe us nothing! If you or a family member have sustained a serious burn injury, you should contact our Michigan burn injury lawyers to determine whether a Michigan burn injury claim should be pursued. We have obtained significant settlements and verdicts for burn injury clients. Call us now at (800) 606-1717 to speak with one of our experienced Michigan burn injury lawyers about your case. Our office will start working on your case immediately and begin gathering witness statements and evidence to prove and win your case.